Today I would like to share with you, a special and awesome news! So, I don't think I have to keep mentioning that I am an avid fan of Althea, right? You should know that by now. For 2 years now, I have been getting all my beauty supplies from Althea and by far I find that all my purchases were worth my time and money. 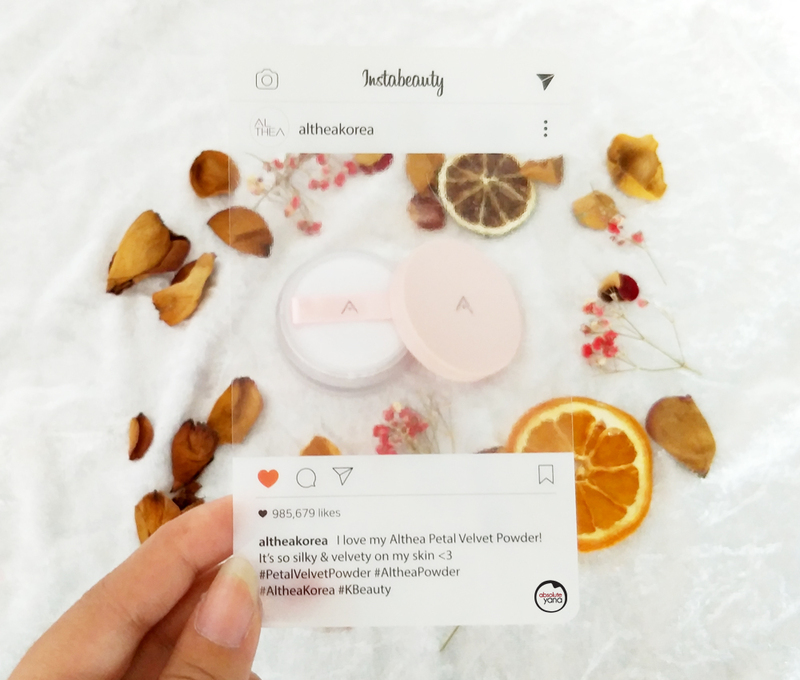 And just like me, other Althea fans were screaming in excitement when we found out about Althea's very own first beauty product which is the Althea Petal Velvet Powder! No, it is not another compact powder...it is, in fact, a loose powder with a radiant and velvety touch! Remember how much of love that I mentioned for the 1028 Ultimate Oil-Control Powder? Well, despite its differences, I would have to admit that I love both equally. The Althea Velvet Powder is translucent on my skin but it does give off that radiant look and keeps my face almost-oil-free whole day long. Personally, I prefer loose powders over compact powders but till now I was not able to find any brand that could help me with keeping the excessive oil production at bay. 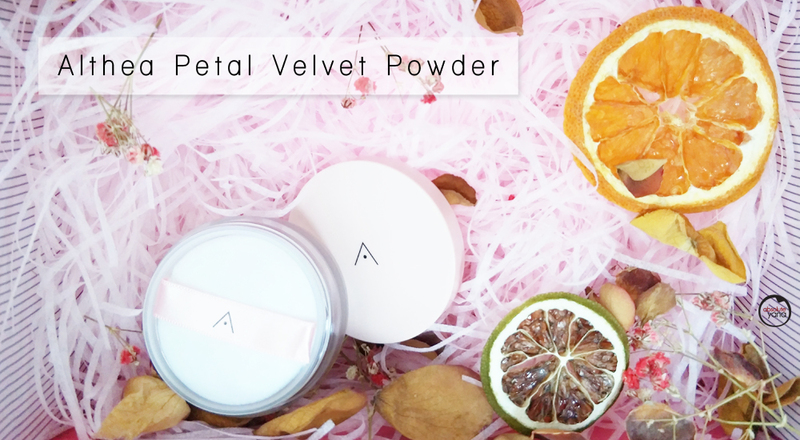 So, needless to say, I was simply excited and felt blessed to have found this Althea Petal Velvet Powder! Oh! And I think it was super cute of them to design a 'seal' that can easily put a smile on anybody's face. Also, let me just share with you another piece of information that will make you fall in love with Althea as a brand that puts a lot of thought into their beauty products. This time the iconic pink box that Althea usually sends over to their beloved customers had a few more extra items in it. By extra, I do not mean freebies, but instead, it was filled with an Instagram cut-out and a variety of dried fruits and flowers. Wondering what were they for? Props for an Instagram-worthy shot of course! In my opinion, it was a perfect INCEPTION. I truly appreciate brands who put in a lot of effort for both their branding and customers' satisfaction. Hence why Althea is my personal favourite hub for seeking beauty products. OH! Before I forget...since I did not make a video for this product, you can always check out this US beauty blogger, Bernace-Nice Caburnay Stacey, who shared her thoughts on YOUTUBE. I'm really want to try put this product. A lot of review of this powder. I'm should buy it next time.